I’ve been out of it for a while, haven’t I? Let’s see if I can get all that is on my mind out in a paragraph… That might be easy to read, right? Though I must warn you… this isn’t the happiest post, so… Just a heads up. March… Was a big month for me. 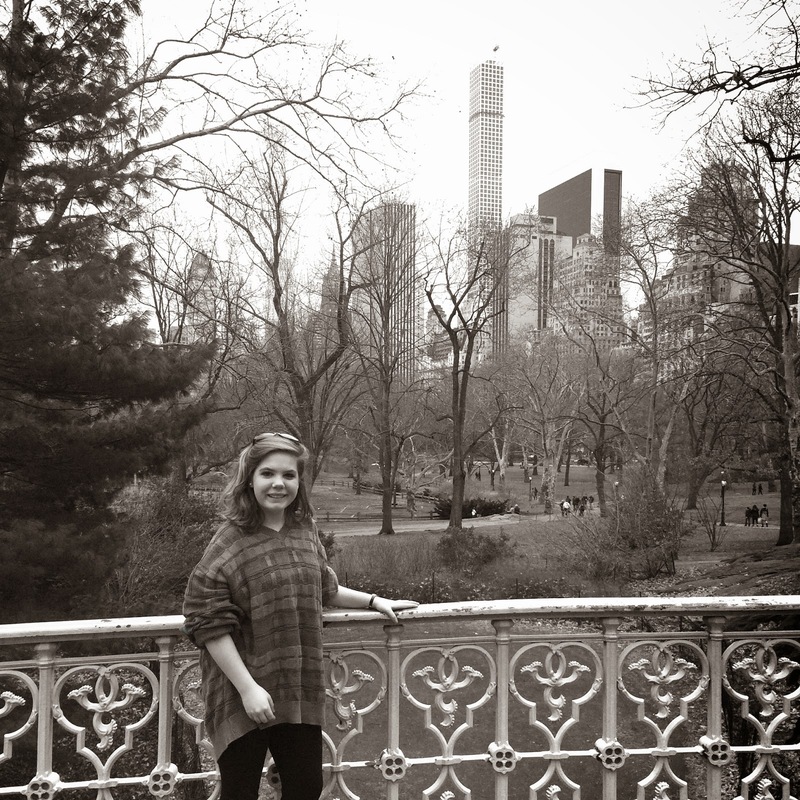 Once upon a time I was going to blog about my going to New York with my choir. I have loads of pictures. It was a good time. Here’s two just because. 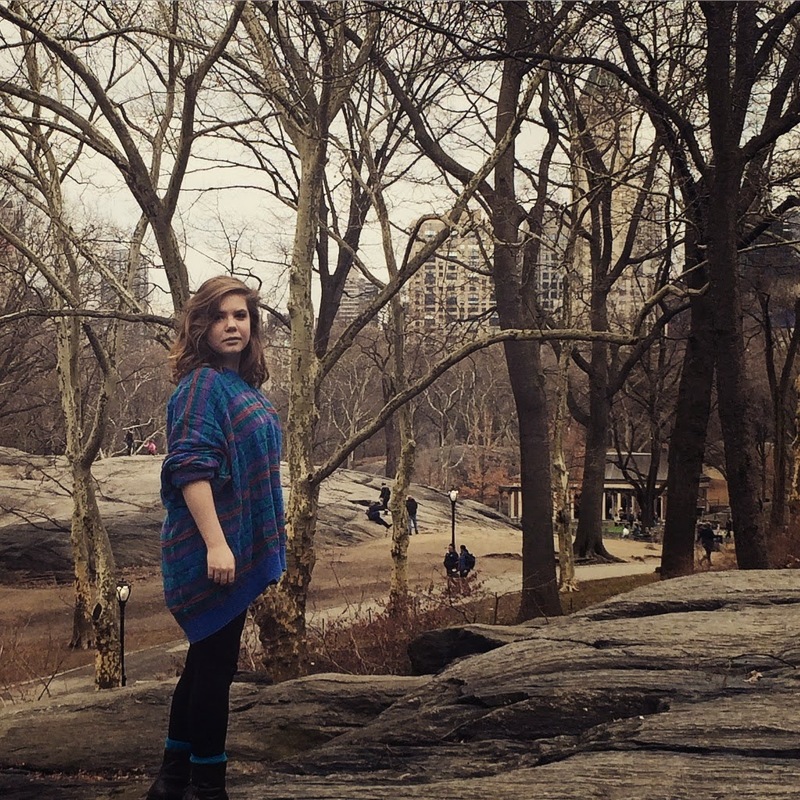 These were taken in Central Park by my best friend. Artsy, no? Pretty sure it was my first trip to the city… First time in Times Square, first time seeing a Broadway show (I saw Phantom of the Opera– since then I’ve been addicted) and just first time being in a city so… huge. And powerful. It was exhilarating. I was there for 3 days. I came back the night before my 18th birthday. (Yeah, guess who’s legal now… Better watch out (; ) That day my family left to go to the beach while I opted to stay home and get homework done and work two jobs, It worked out nicely. Until I found out that my grandfather, who has lived through all of his heart mishaps, had fallen against a door frame because he had gotten up without his walker. My family 4 hours away, I had to deliver the news via phone that he was in the hospital. What I didn’t know was that later, my mom would talk to my grandmother and find out that, while my grandfather was there, they would do a general check up of him, and find a tumor inside him the size of a softball. After going it to take out a sample and see what it was and whether or not it was harmful, they found four more. All of them were cancerous. Since then, my life as of lately has been made blurry by stress, homework, my mom’s constant trips to MD to see my grandfather, the looming shadow of my school’s production, work, helping my dad run the house, and whatever seems to be crashing down at the moment. Oh, and my sleep schedule is sporadic beyond belief, and my eating habits are even worse. As of now I can’t sleep. My mind wanders back to a visit to my grandfather, after he was told by the doctors that since he was so frail there was nothing they could do for him, seeing as chemo therapy would just about do him in. My mom said she wanted us to see him while he still looked like himself. Luckily, when we visited, he was having a good day. He knew who we were and he could talk to us basically intelligibly, though his speech was slurred. He looked so thin, so weak. Holding a glass of water for him, I could tell, was a struggle. He doesn’t know what the doctors know. Mostly because my grandmother didn’t want to have to put him through the pain of telling him repeatedly about his condition, given his foggy memory state at times. It almost killed me when, we went to visit and he said “I may make it, I may not. It’s a toss up.” We looked at each other because we knew better. He’s in at-home hospice currently. But that’s how he is. A sly, witty, stubborn curmudgeon. Always has been, always will be. I can only imagine what my mom must be going through. Losing my dad is the last thing I can think of… it all just feels so surreal. My dad went to drop off my mom at my grandmother’s today. He hasn’t returned, and he just called a while ago saying he wasn’t going to make it back tonight and that he’d be staying the night there. One thing about me you may or may not know… I’m very good at reading people. Their faces, their voices. My dad sounded devastated over the phone. I’m bracing myself for the worst. And I just hope to the heavens above that I can make it through this week. I know that’s more than my original paragraph… too much to capture and to shove into a single block of text, I guess. But there it is. It’s hard to think that so much has changed in just one month. It’s shifted, that’s for sure. And I’m still trying to find a way to adjust.